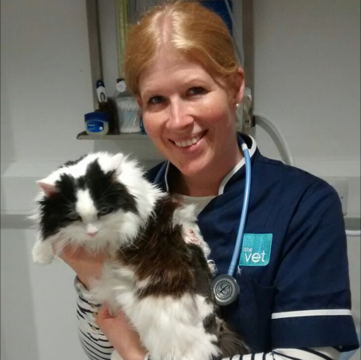 This is Minnie, a 15 year old cat, who was brought in to The Vet Morden with a large lump on her back that her owner said had grown over the last month. After a discussion of the options they took her to surgery, once her pre-check confirmed she was otherwise relatively healthy. On the morning of surgery, she also had x-rays taken to check her chest was free from any other lumps and she was placed on fluids to support her body through the procedure. The vet completely removed the lump from Minnie. 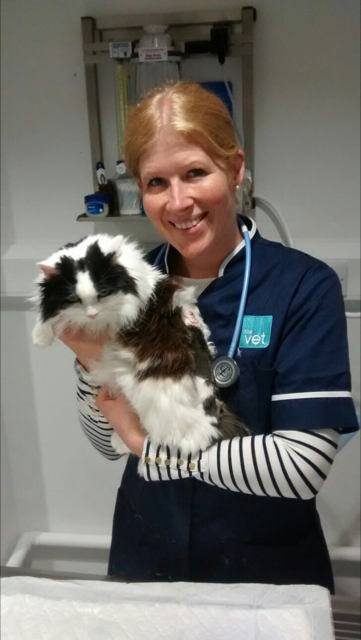 Minnie has recovered well from her surgery and her owner was happy to send her lump off for analysis with the pathologist team. It was found to be an extraskeletal osteosarcoma which is a soft tissue tumour that produces something called osteoid (a bone like substance) but is not actually attached to bone itself. Her owners are aware she is an older girl and they need to monitor her closely, but she has made an excellent recovery and is back to her usual self.